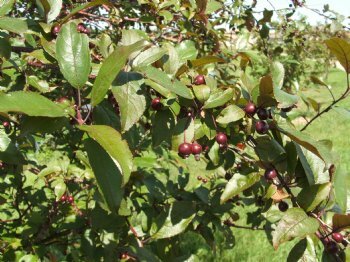 'RED SPLENDOR' CRABAPPLE - A variable seed propagated strain of crabapple reaching 15 to 25 feet in height and width, variable fruit size, foliage green to red in color. Excellent wildlife plant. Select One Bundle of 25 1-2' Bareroot Stock Bundle of 50 5"-9"